Media Matters collates some Fox News hardy-har-hars about Vice President Biden’s big “middle class speech.” It was a fine, if rambling speech, and none if it was ripped from Neil Kinnock’s Greatest Hits Volume II. But it started with the assumption that rising inequality was suboptimal, and this, it represented class warfare. Most of the MM-collected punditry is on autopilot, but the Bill O’Reilly rant is nice and revealing. You came from humble beginnings. You made it big. Same with me. What’s the problem? By the way, I give millions to charity. But you, Mr. Vice President, give nothing. Very nearly nothing. I don’t get that. The skimpy charity giving of the Biden family is a Fox News standby. Last year, the vice president only donated around 1.5 percent of his salary to charity. Biden couldn’t give “millions” to charity unless he went into debt. According to the last available year of tax returns, Biden’s maximum net worth is around $800,000. He makes better money now than he did as a senator – $230,700. 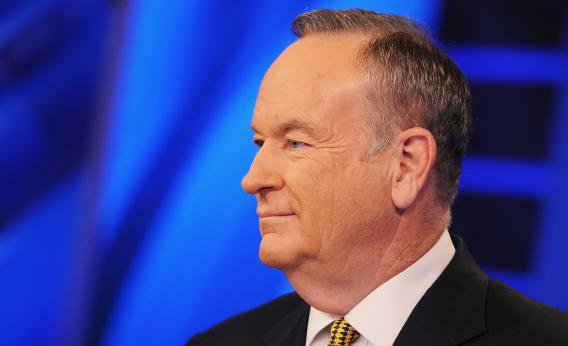 But Fox News pays O’Reilly around 43 times as much money – $10 million per year. Leaving aside the humor of O’Reilly says he earned his cash “the old fashioned way” (TV hosting ain’t coal mining), it’s a perfect little example of how the super-wealthy understand class division. O’Reilly’s working class roots are as central to his schtick as Biden’s Scranton salad days are. But they don’t make the same amount of money.